Tabletop-Art released new bike bases in a variety of styles over in their webshop. 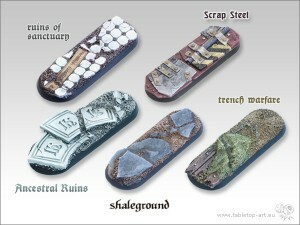 A complete new base format now in our store. Find it per Base size link or search the whole Base Sets. There will follow additional sets for more of our Base Sets soon.